The assignment of a former Navy commander to be the president of Petrobras board, the admiral Eduardo Bacellar Leal Ferreira, on Monday (14th), is consolidating a new level of military presence in the decision-making group on economic matters inside the Bolsonaro administration. High-ranking military officials are inside four government departments and two state companies that are very important to Brazil's economy. According to longtime government employees, the military presence so far in the Brazilian public administration had only been this high during the military dictatorship. This high military presence was one of president Bolsonaro's campaign promises, and it is aligned with the favorable perception the Brazilian people has of the Armed Forces. A 2018 Datafolha poll shows that 78% of the population trusts the Brazilian Army, the highest trust level among all institutions. There are servicemen in the Ministry of Infrastructure, Mining and Energy, the Ministry of Science, Technology, and Innovations and in the Communications department. They are also present in different secretariats. The Ministry of Economy, one of the most critical departments in the Brazilian government, is also expected to have a high-ranking military officer in a senior position. But sources in the financial markets and the Brazilian Congress raise doubts if the newly-assigned servicemen will not clash with Economy Minister Paulo Guedes, because traditionally in Brazilian the military favors a tightly controlled economy, while Guedes is a self-professed believer of free-market economics. 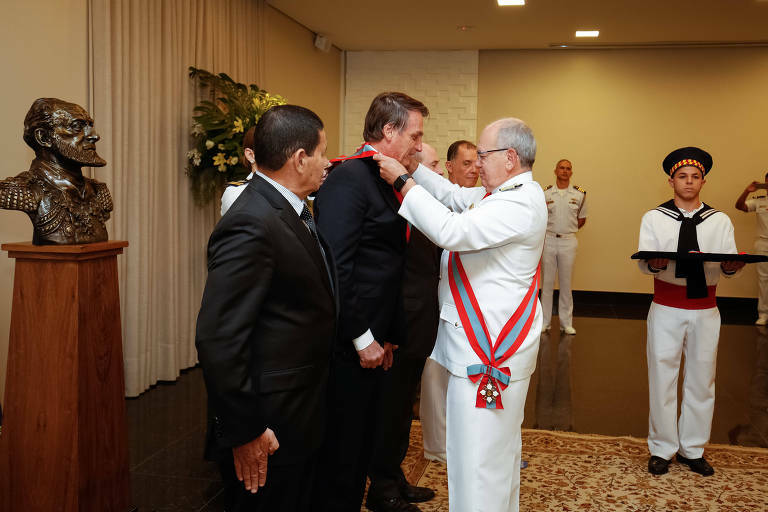 A general close to Bolsonaro's inner circle says that the Armed Forces have evolved their thinking and now are more aligned with Guedes' ideas. During the military dictatorship, the Executive was in charge of the Armed Forces, but fiscal policy was under the responsibility of civilians.